You ever watch the red carpet before an award show? Remember seeing the room celebrities all gather in to get gift bags full of products and gadgets? 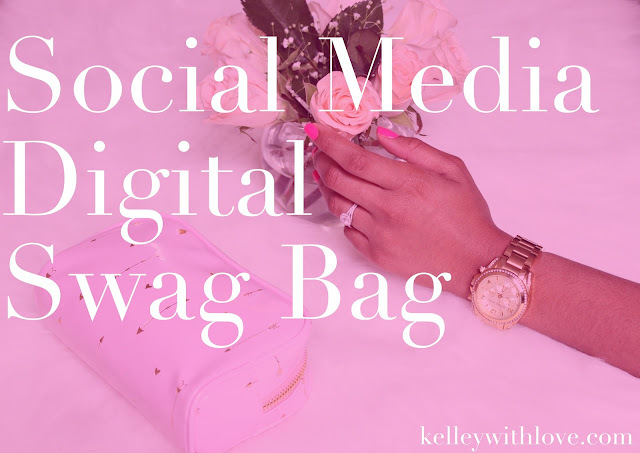 Well to thank you for all of your support I wanted to give you the celebrity treatment for today by providing you with a social media digital swag bag of every resource I've provided here on the blog. Each of the posts listed below comes with a free downloadable to help you take your first action steps toward building a brand that will delight and inspire a beautiful lifestyle. I hope you will enjoy! Oh, and if you have a bestie that you'd like to share your goodies with, be sure to share where they can download these goodies for themselves. If you have any questions you'd like me to answer and possibly feature as a blog post leave your question below in the comment section. You're also invited to sign up for some new upcoming goodies that you can only get if you're a part of the squad!